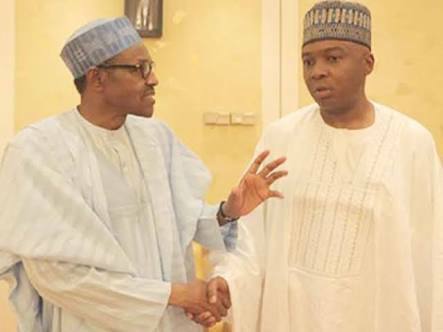 There are indications that after all the brickbats and accusations, the presidency and the National Assembly may have come to terms on the grey areas in the N189billion 2019 election budget for the Independent National Electoral Commission (INEC). President Muhammadu Buhari had in July this year sent N242 billion estimates to the National Assembly for approval as budgetary provisions for INEC and security agencies. While INEC sought for the sum of N189.2bn for the conduct of the 2019 general election, the president split the figure required and requested that they be raised separately. Out of the total N189bn required by INEC for the conduct of the 2019 general election, the presidency divided the source of funding into two, with N54 billion included in the 2019 budget, while N145billion is to be vired from the 2018 budget. LEADERSHIP gathered that the chairman, Senate committee on INEC, Senator Suleiman Nazif Gamawa, after getting more explanations on the budget and why it was split into components, assured that the issue would be resolved between now and next week. According to a reliable source in INEC, Nazif said the lawmakers will work assiduously at committee levels to ensure that the final version of the election budget for INEC is ready for harmonisation by a joint committee of the National Assembly for onward transmission to the appropriation committees. It was learnt that the chairman of the House of Reps committee on INEC, Hajiya Aisha Dukku, also agreed with her Senate counterpart that they should work on the INEC budget throughout the Sallah holidays since it was a national assignment for which urgency is needed. The lawmakers were said to have worked on the election budget at the committee levels throughout the Sallah holidays following the resolution of the issues bordering on certain grey areas. The source who did not want his name in print noted however that the budget for security agencies is still pending, as the committees are only concentrating on the INEC budget. “Our concern is the INEC budget. We don’t have any business with the security component. Our committee is INEC. We are not for security. Some of the lawmakers who are members of INEC committees are also members of appropriation committees in both chambers of the National Assembly. The issue has been resolved and INEC will have a budget by next week."